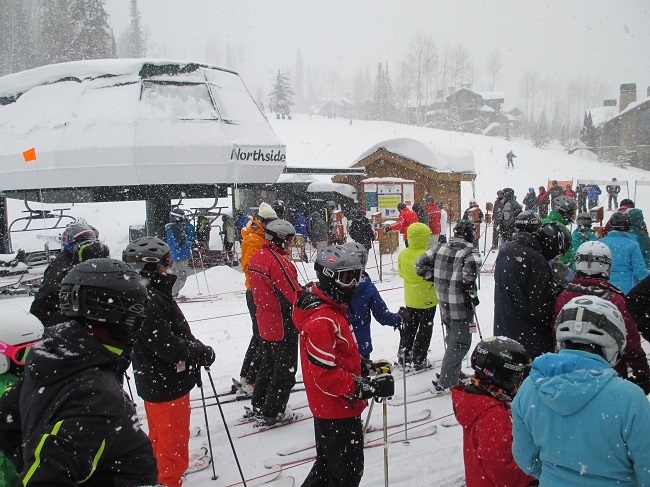 It was snowing for the first time in three weeks when my stepdaughter and I arrived at Deer Valley Resort in early February: Six inches of soft powder over groomed hardpack and just under freezing. Ideal conditions. We were standing midmountain looking at the trail map trying to decide where to head to for some easy intermediate terrain. We had tried Bald Mountain earlier and found it too chopped up. It also has a 9,400-foot summit, so we were looking for something a bit easier on our first day on skis this season. A mountain host gave us some great advice. “Head to Flagstaff Mountain. There are some beauuuutiful blues off the back side,” the friendly Aussie said with the enthusiasm of a skier on a powder day. Everything was an exclamation! 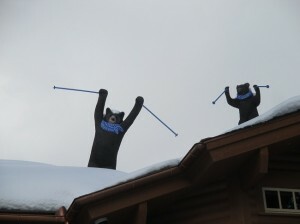 This was our first trip to Deer Valley, and we found many “beautiful blues” in the next two days of skiing. We particularly liked Little Baldy Peak. The runs were groomed, nearly deserted (even on a Saturday) and there were no lift lines. We felt like we had the place to ourselves. Deer Valley, one of the three major ski resorts in Park City, Utah, covers five mountain peaks and 2,026 acres. All levels of terrain can be accessed on all peaks with the exception of the resort’s highest — Empire Peak at 9,500 feet — which offers intermediate and expert terrain only. Most of the lifts have high-speed quads, giving skiers more time on the slopes. The resort is surrounded by private property, so you’ll see large homes on the side of many runs. Look for the Raccoon House and the Bear House off Last Chance Trail. Both have whimsical critters of all sizes hanging from the roof, sitting on the deck, peeking in windows and hiding in trees. 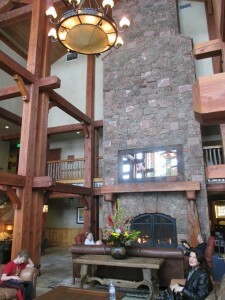 Deer Valley ski resort is elegance personified. You get the message when you find a brand new Cadillac sitting outside the lodge. The rest is history, with the U.S. freestyle winning gold, silver and bronze medals in the Socchi Olympics. Choices, choices: Deer Valley can lift more than 50, 000 skiers an hour with its gondola and a dozen high speed quads. Add in the other chairlifts and you get a grand total of 21 lifts. Heck, I wouldn’t even be able to get to every lift in one day. 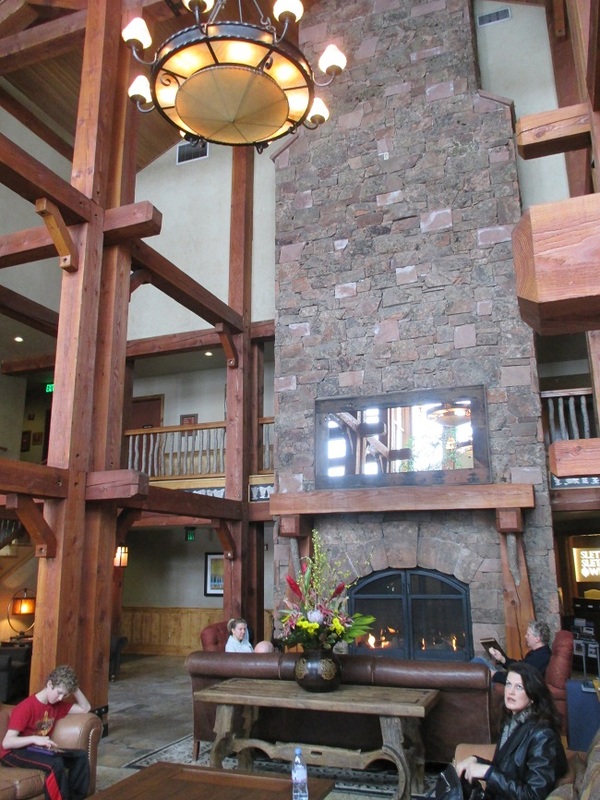 With a base elevation of 6,500 feet and a summit height of 9,500, this gives skiers 3,000 vertical feet to play with. I say skiers because snowboarders aren’t welcome at Deer Valley. Bald, Flagstaff and Empire mountains all top off above 9,000 feet so good luck if you’re coming from sea level like I was. Give yourself a day to acclimate and you should be alright. 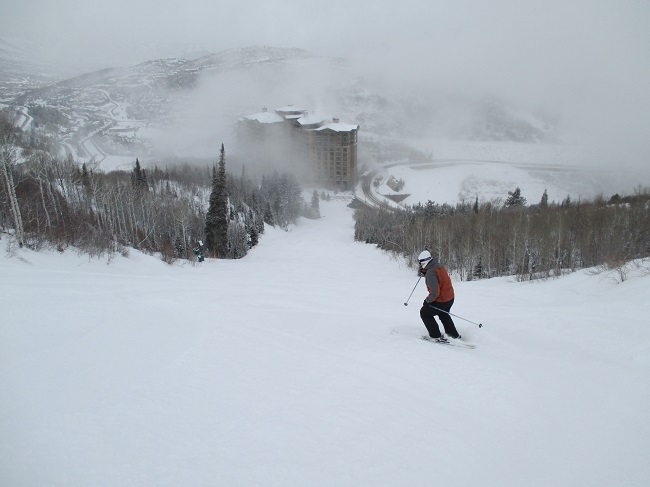 Deer Valley averages 300 inches of the Greatest Snow on Earth blanketing its six mountains – Little Baldy Peak, Bald Eagle, Bald, Flagstaff, Empire and Lady Morgan. A friend from La Verne decided to take a ski lesson. She was very impressed by the quality of instruction and shared many of the instructor’s tips with me in the afternoon.